Thinking Water Pump Replacement Might Be A Good Idea? Your water pump is the core that keeps your coolant system going along. When it doesn’t work as expected the only thing your engine can do is overheat. Though an overheating engine isn’t always caused by a failing water pump, it’s most commonly the main culprit. 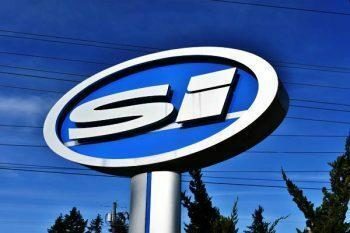 That’s why we perform a complete evaluation and precision diagnostics before we get under the hood to replace your water pump. If you ask us, you shouldn’t have to pay for something that doesn’t need the work. And at Steve’s Imports auto repair shop we’ll make sure you don’t. If you encounter any of the following signs of a failing water pump, go ahead and schedule an appointment today. How Can You Tell if Your Car’s Water Pump Is Failing? There’s a coolant leak in the line. Your coolant system includes quite a few gaskets that provide multiple opportunities for weakness. Over time, every gasket will wear out. 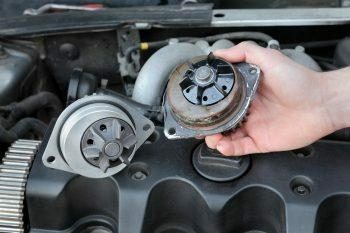 Most commonly, a leaking water pump is noticed only after you’ve found fluid under your vehicle that appears to be coming from the center of the engine. The good news is that if this is the only symptom, your water pump may be repairable. An overheating engineThis one makes sense, right? If your water pump is failing, the main ingredient to keeping an engine cool – water – won’t be delivered where it’s needed. For more people, overheating is the most obvious sign of a failing water pump, and the reason why they bring their car in. Though overheating can be caused by faulty thermostats, or a broken radiator, water pump failures are incredibly common. This is one you won’t want to ignore. An overheated engine can cause permanent, irreversible damage to your engine block. While you may be able to “work with” an overheating problem temporarily, eventually it will cause your engine to fail completely. A whining water pump. Similar to the sounds of a squeaky belt, loose bearings in your water pump assembly can produce a similar sound. The generic noise that’s commonly described as “whininess,” should immediately be a cause for concern. But if you notice the noise increases as you accelerate, you’ll want to bring it in because you may be experiencing the precursor signs of a complete water pump failure. Steam coming from your radiator. Radiators in general do a good job of keeping their contents contained. Which means if you ever see steam coming from the hood, pull over, you’ve got a serious leak that is on the verge of de-commissioning your vehicle. Needless to say, it’s a better idea not to drive under these circumstances. Instead, give us a call and we’ll get you taken care of. How do our mechanics replace your water pump? First, a pressure test. We’ll put your cooling system under pressure and seek out leaks. After that, a visual inspection. Our expert mechanics will put eyes on your water pump to determine its condition. If it’s determined that your water pump does need replacement, our car mechanics will swap it out with a leading OEM or OEM spec part. Next, we’ll top off your systems with brand new coolant. Depending on how it looks, we might suggest replacing the thermostat at the same time for a complete upgrade. Then we’ll put on a new radiator cap and take your vehicle for a test drive. If everything looks good, you’re good to go! Call us today to get your water pump back in business!